Tip Tuesday - Kropping for a Cause! Krop for Kaitlyn! We are delighted to be able to share this story. Crafters have great heart and we were very fortunate to be able to lend a hand. Krop for Kaitlyn by Pam Bray! 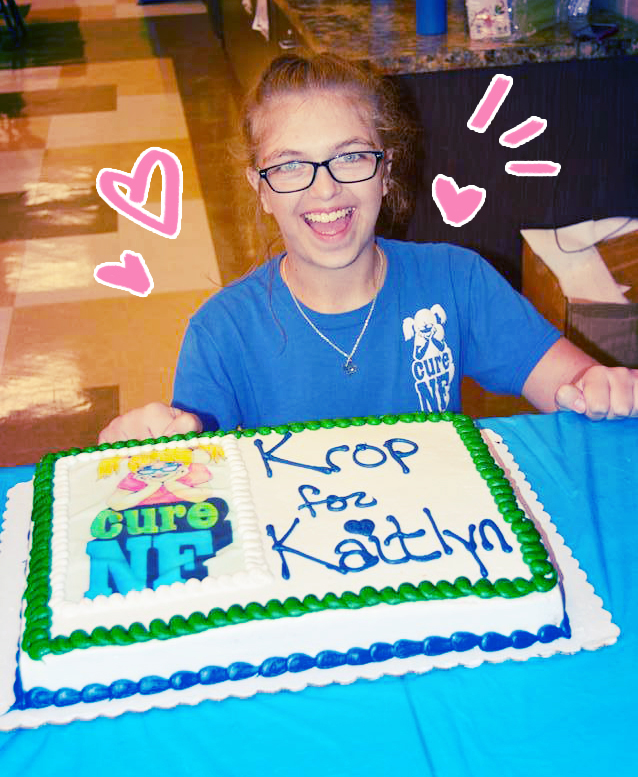 Kaitlyn was diagnosed when she was an infant with Neurofibromatosis or NF as it is known by. At the age of ten Kaitlyn was diagnosed with four lesions on the inside layers of her brain. Once lesion on the outside of her skull, one between her brain and skull in the back of her head, one between the hemispheres of the brain and one on her hip. NF has challenged Kaitlyn with her learning delays and epilepsy. She receives physical therapy, occupational therapy, speech, and resource assistance in school. In addition to her many doctor visits throughout every year, she usually has an MRI and/or EEG annually. Although she is very lucky that the Neurofibromatosis has not become terminal, the years of medical bills for doctors, hospitals, labs, anesthesiologists, radiologists, etc add up. These donations will go directly into a medical account that has been set up to help pay for Kaitlyn’s medical bills. About the Krop for Kaitlyn. This was our 6th year for the Krop for Kaitlyn. The crop benefits Kaitlyn to help off set any expense she may have through the year. Last year for instance the day after the crop she started having severe headaches. She had to have an MRI which showed one of her tumors was pressing on the back of her skull which resulted in her having surgery and missing several weeks of school. We are so blessed that the crafting industry as well as individuals have donated each year for out raffles, scrappy garage sale, bought seats and donated to her cause. We generally have between 30-60 croppers that come to this benefit. This year we had 35. We have snacks with a lovely luncheon and dinner we serve during our 8 hour crop. We also have cake, lol. We begin each year by sending out for sponsorship support for her and start our planning. Again, thank you for gifting us the eBrush it was a HIT!!! We have been fortunate that the last three years that Lutheran Immanuel Church and School offers us their facility to use as part of an outreach program. Each year we add new things to the crop. This year I demo the eBrush which the ladies and some husbands couldn’t get over at how easy it was to use and that they could use different markers. I shared with them about the siphon kit that they could get and what it does. They were so excited to see it work. (We lost our scrapbook stores 6 years ago with the closing of a LS and Archivers within 6 months of each other.) So our scrappers are hungry to see new tools, etc. We also had two Make n Takes that involved painting rocks and doing a card. Each of our croppers receive a goodie bag, door prize and thank you gift for attending. Thank you so much for sharing this Pam Bray!